The full 60 metres of anchor chain are in stainless steel. Has two big dual purpose electric winches on the stern. It can be used on sheets or on mooring warps when required in a Med style stern to berth. This yacht is fitted with 4 X 58 Lewmars and 2 X 48 which is upgrade on standard fit out. If also has a Furles 300 instead of a 200. These upgrades were part of the previous owner's plans for a circumnavigation. Equipped with foward looking sonar. This yacht was prepared for a circumnavigation (watermaker, solar panels, washing machine etc....) that never happened. The yacht was built in 2001 but not launched and commissioned until 2005. Perhaps this is why she is in such a remarkably good condition. The build quality is palpable from the moment one steps aboard. If there is a yacht that as a broker I want to show in the knowledge that it will get a good reception then this is it. 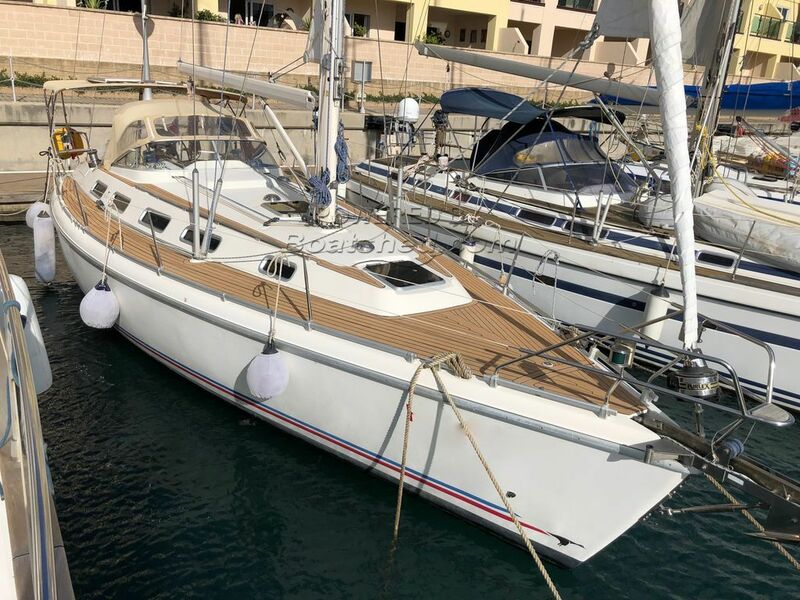 This Etap 39S has been personally photographed and viewed by John & Lynda of Boatshed Gibraltar. Click here for contact details. What a great looking boat! Are those cork decks? Much cooler underfoot and easier to maintain than teak! And those Euronova Washing machines are amazing - no mad dash to the launderette as soon as you arrive in a new place!